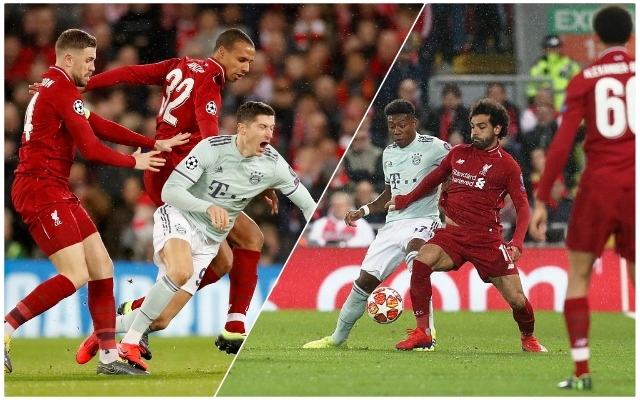 Following Liverpool’s 3-1 victory over Bayern Munich last week, there were some sections of the media – who never watch German football, we might add – who downplayed the achievement. Jurgen Klopp’s Reds dispatched Bayern 3-1 at the Allianz, and in truth, controlled both legs of the tie. Some pundits and ex-players intimated that Bayern are not what they once were and that we shouldn’t be overzealous in praise for Liverpool. But that’s nonsense. Right now, they’re one of the form teams in Europe. In their past three Bundesliga matches, Niko Kovac’s side have scored 17 goals, conceded just one and are top of the table ahead of the much heralded Borussia Dortmund. On Sunday, they dispatched Mainz 6-0, a week after trouncing Wolfsburg by the same scoreline. They’re an elite side, and the manner in which Liverpool beat them 3-1 away from home is one of our most impressive performances of the entire Klopp tenure. It’s FC Porto in the quarters, before a semi-final with either Manchester United or Barcelona. Bring it on.